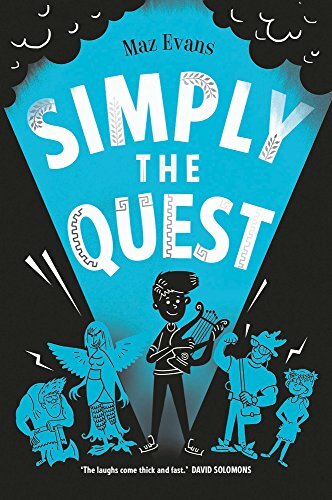 Obtenez le livre Simply the Quest (Who Let the Gods Out?) par Maz Evans au format PDF ou EPUB. Vous pouvez lire des livres en ligne ou les enregistrer sur vos appareils. Tous les livres sont disponibles au téléchargement sans avoir à dépenser de l'argent. Debut author Mary Evans is an author, scriptwriter, playwright, lyricist, journalist, poet, dinner lady, and whatever else pays the gas bill. As a freelance TV journalist, Mary has written for The Daily Telegraph, The Daily Mail, The Sun, TV Times, TV Easy and regularly broadcasts on BBC Radio 2 and BBC Radio Five Live. She has puddle-water eyes and very disobedient hair. She likes sunflowers, things that rhyme and eating pudding first. She doesn't like rude, getting up in the morning or Wednesdays. You can visit her online at www.storystew.com and @MaryAliceEvans.